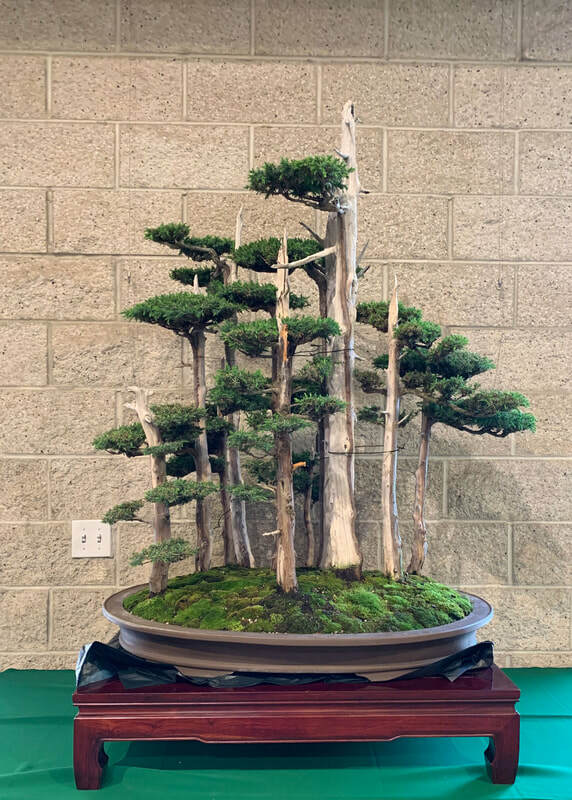 Bonsai Exhibition. The public demonstration will take place from 1 - 4 pm in the Botanical Auditorium on the lower level of the Brody Botanical Center (near the elevator) at The Huntington, 1151 Oxford Road, San Marino, 91108. 1948. As arranged, the trees represent John’s children and grandchildren. arrived at The Huntington in February, 2001.
developed as replacements, so the replanted piece will look mature when completed. both Saturday and Sunday in the Ahmanson Classroom and Banta Hall.